Business View Magazine interviews Ben Kweton, Vice President of Sheet Metal Supply Ltd., for our focus on the Metal Construction & Roofing Industry in America. Professing the endless possibilities of working with “all types of metals for all types of projects”, Sheet Metal Supply Ltd. (SMS) works wonders in customized architectural metal fabrication from its facility in Mundelein, Illinois. 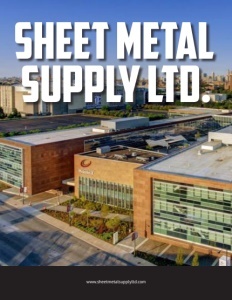 Family -owned and operated, Sheet Metal wSupply is well known in the industry for manufacturing sheet metal for low slope and steep slope roofing and unique wall façade applications. The company portfolio of coil and flat sheet metal includes copper, RHEINZINK, stainless steel, galvanized steel, aluminum, and Kynar coated steel and aluminum. Sheet Metal Supply was founded with a simple objective: to supply the roofing industry with consistent sheet metal profiles fabricated from quality materials with unmatched lead times. A dedicated work force with over 50 years of combined experience in metal fabrication plus 20 years of experience in the commercial roofing industry, consistently makes that goal a business reality. 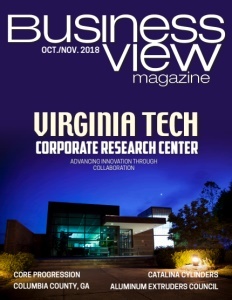 Recently, Business View Magazine discussed industry insights and the evolution of this thriving family manufacturing firm with Ben Kweton, Vice President of Sheet Metal Supply Company and son of founder, Phil Kweton. The following is an edited transcript of that conversation. 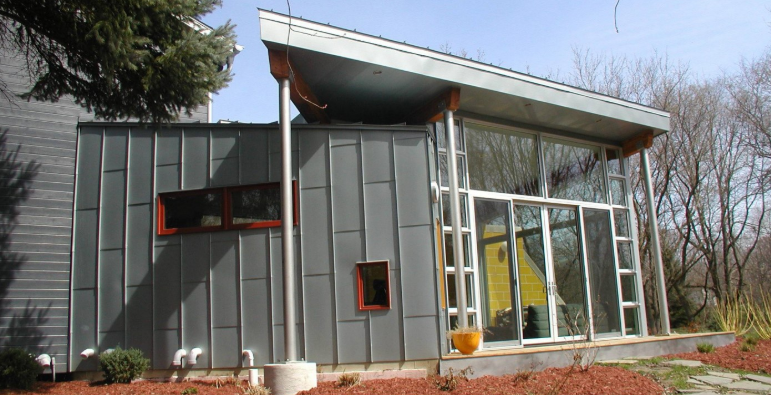 BVM: How did Sheet Metal Supply begin its journey in architectural metal manufacturing? Kweton: “My father, Phil, started the business in 1991. After a lengthy career in the commercial roofing industry, he realized there was more potential in going into the architectural metal end of things. That took his competitors in the roofing market and made them into clients of ours. We started in Libertyville, Illinois in a 16×30-foot garage space with hand-operated equipment and an old slitter. My father picked up the sheet metal during the day, and he and I would bend it at night after I finished high school. BVM: What do your operations entail? Kweton: “We’re a fairly comprehensive architectural metals manufacturing and distribution company. We’ve gone from having one handbrake with my father on one end and me on the other, to four fully automatic brakes, each with an operator, but all have CNC capabilities. We also have three sheers and four roll formers to make roofing and wall panels, commercial size gutters, and a 4”x5” downspout. In addition, we have various machines for the façade production market, a large routing table for aluminum composite material, and a punch for venting and perforation. “We have just under 30 employees; several have CAD capabilities and assist in drawing and redesigning parts. We work with all levels of a project, so we can absolutely interface with a homeowner. Sometimes, that’s the last interface we have on a project. The homeowner will handle their material – lock, stock, and barrel – with us. 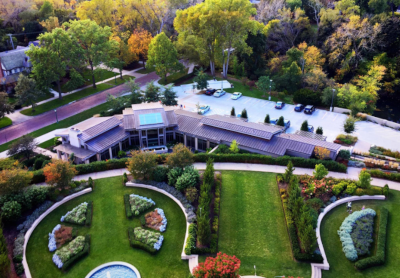 More typically, when it comes to a residential or commercial roof perimeter system, that’s generally done with a roofing contractor. These days, with our evolution into the façade market, we deal with commercial glazing operations, as well. BVM: Zinc is being touted a good alternative metal for façades. What are the benefits? Kweton: “The largest benefit is that zinc is an alloy, not a coated material. A lot of people anticipate zinc looking the same for 30 years and if that’s their expectation, they’ll want a product that’s more consistent. Something along the line of painted aluminum or painted steel products. I’m a huge proponent of alloys and watching the way the patina process changes it in situ – the way it reacts to its environment. And zinc is one of those wonderful natural materials that looks great the day you put it up and it evolves. I think it gets more beautiful as time goes on. BVM: How did you get involved with the award-winning Eleanor Boathouse project? Kweton: We were lucky to be part of the first boathouse that Studio Gang designed – the WMS Boathouse. That’s a little further north on the Chicago River. Out there, we used RHEINZINK. Most of those boathouses are showpiece projects – wonderfully open to the public. And they used zinc because it looks terrific and is ever-changing. If its marred by graffiti or scratches all that can be dealt with because it’s a natural product. The amazing Eleanor Boathouse – Grand Award Winner of the 2018 Metal Architecture Design Awards – has a zinc roof instead of slate. Not only did we do the façade tiles out of zinc, we were able to run the zinc roofing for them. BVM: Where is your distribution territory? Kweton: “We custom fabricate products and distribute across the country. In the last couple years, we’ve sold into Washington, California, Hawaii, Texas, Arizona, Florida, and parts of Canada. We even did a building on a golf course at Playa Grande in the Dominican Republic, recently. BVM: What changes are planned for Sheet Metal Supply in the future? Kweton: “We’re currently looking to expand our facility on the existing site. My father still has a big hand in the business; he’ll be in charge of long-term planning projects, including developing our facility so we can have more space. That will hopefully commence next year. As for new technology, the software we have has made our processes more accurate and efficient. I don’t anticipate changes to that, but integrating orders from start to finish will be important. “Maintaining and retaining good people on our team and attracting additional valuable team members is also important. Give us somebody that wants to work and is responsible and we will happily train them. Some of our people have been with us for 10 to 16 years. We set ourselves apart by providing a good, clean, safe work environment and treating our team like family. Check out this handpicked feature on ShowHauler Trucks – Quality is the mainstay. WHO: Sheet Metal Supply Ltd.
JAM Solutions Inc was established in 2016 with the focus on providing quality installation services in the market as well as new products. With JAM’s partnership with STAC, we have become the sole supplier/distributor of STACBOND aluminum composite panels in the US. STACBOND is a high quality ACM panel produced in Spain, with lower costs and NFPA 285 approved systems.